Microsoft's trademark application includes more information about its upcoming move into retail - including a brand new logo and the fact that they will be selling clothing. 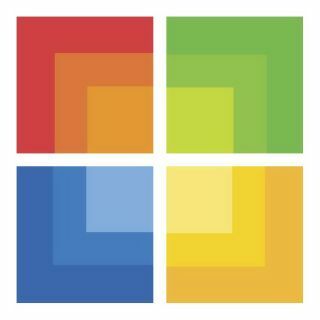 The square logo, looking ever so slightly pixellated and 1985, will adorn Microsoft's new shops in the US. The first Microsoft shops will open in Scottsdale, Arizona and Mission Viejo, California, this autumn before rolling out to "major cities" around the world. What's behind the square window? The trademark application revealed a little more about the products you can expect to find within its doors. The first few won't come as much of surprise: "computers, computer hardware, software, computer games, computer peripherals, games consoles, portable music players and accessories". "Personal digital assistants, cell phones and accessories" shows that the stores will be fully behind the next wave of Windows Mobile handsets. But what was Steve Ballmer thinking of when he decreed that shelves should also be stocked with "clothing, back packs, messenger bags and novelty items"? Start saving now and you too might be able to purchase such novelty items as Xbox ring of death jewellery (available only in red), Vista memorial T-shirts or a Zune HD. Oh wait, that last one was meant to be serious.